Badhotellet in Tranås is a traditional and classic hotel with beautiful lounges, high atmosphere and a service level characterised by a feeling of consideration and flexibility. Take a deep breath and step into our peculiar world where a hundred years of meetings and people have put their stamp on both rooms and surroundings. 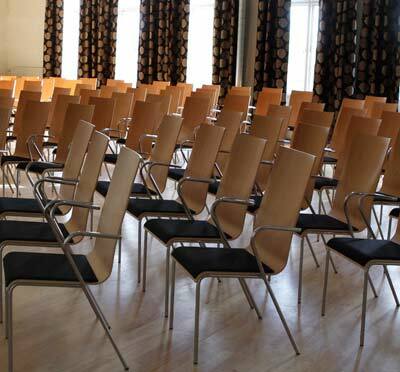 Your conference takes place in a century-old setting with highly modern rooms and facilities. The venue takes from a few delegates up to 250 guests. There is free wireless internet connection everywhere in the hotel and projector in all of our conference rooms. All accommodated hotel and conference guests have full access to our SPA with bath, steam sauna, sauna, relax and gym and in every room you will find a luxurious bath robe. We also have a number of SPA treatments available - simply ask for our SPA menu. Add to this a variety of activities such as crayfish fishing, SPA activities, wood-fired saunas and bath barrels as well as the opportunity to learn magic/juggling, attend a film gala, choir competitions etc. The hotel is situated beautifully in the heart of Tranås with complementary enclosed parking space which is locked overnight. 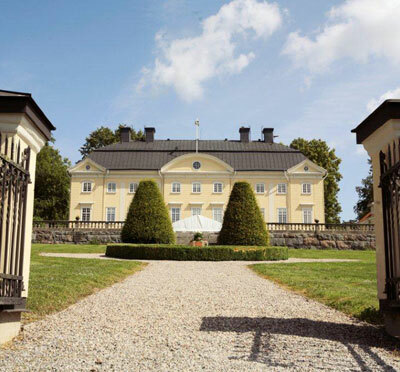 Have you been to Badhotellet Konferens och SPA and want to give your own comments? Prova vin & ost SPA "äkta"